Editor’s Note: The fastest-growing segment of the outdoors industry is women. In the last 25 years, there have been numerous women who have blazed the trails for careers in the out of doors. This week and next week, I’ll highlight 14 of these inspiring ladies from my newest book, “Outdoor Women’s Hall of Fame – Premier Edition” available at http://amzn.to/2AlVYJE who have and are living their dreams as outdoor professionals. 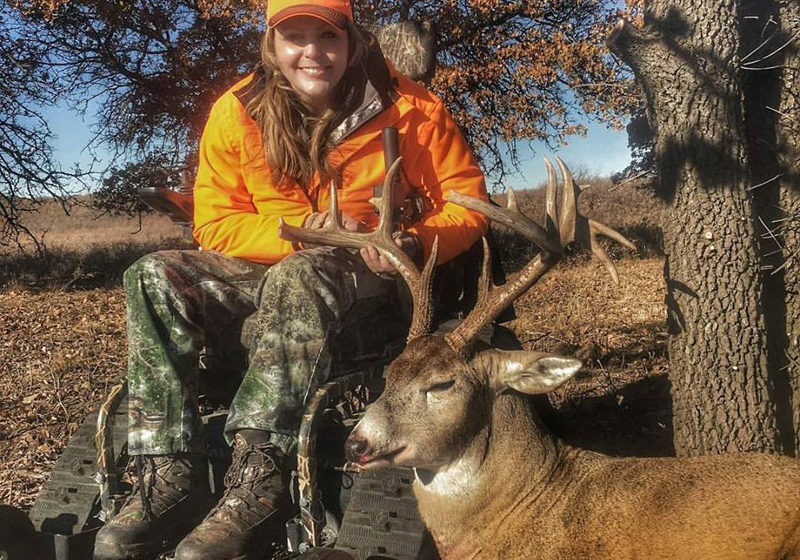 Ashlee is a member of the NRA Disabled Shooting Sports Committee, the NRA Outreach Committee; the Wyoming Disabled Hunters Board; and Mossy Oak’s National Pro Staff. 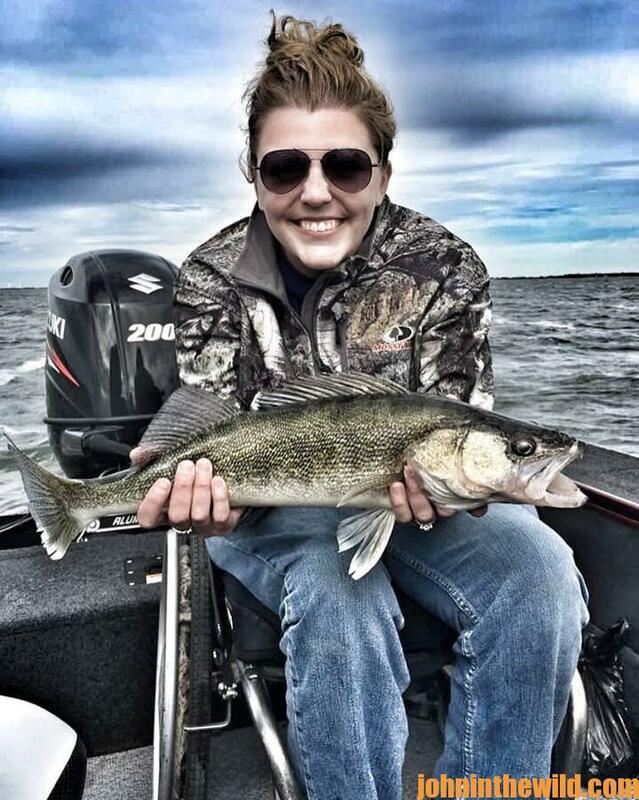 Ashlee’s the marketing director and columnist of “Able Outdoors Magazine;” spokesperson for Outdoor Ability Foundation; columnist for “Women’s Outdoor News;” inspirational and motivational speaker; consultant and disability advocate. She’s the winner of: the Safari Club International 2017 Pathfinder Award; the Bill McCormick 2017 Outstanding Volunteer Award; the Wyoming Trustee Award 2015; and Ms. Wheelchair America 2013-2014. She’s a book author of “A Redefined Life: Lessons from a Pitchfork” (http://www.ashleelundvall.com/) (https://www.goodreads.com/book/show/29097079-a-redefined-life. We all love the stories of people who have overcome disaster to find the true greatness in us all, and such is the story of Ashlee Lundvall, who was born and raised in Indianapolis, Indiana. She was a true 6-foot, 2-inch Hoosier girl who played volleyball, basketball, fast-pitch softball and slow-pitch softball. With her outgoing personality and good looks, she had a very-active social life, had a boyfriend and was living the dream of every high-school teenage girl. 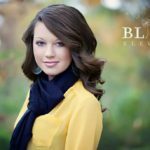 After finishing her sophomore year with big plans for her junior year in high school, Ashlee went for 3 weeks to Cody, Wyoming, where girls from all over the county came to this working ranch. All the girls had chores. After the chores were done, they enjoyed horseback riding, backpacking, rodeoing and other fun activities. But while there, Ashlee suffered a T12 vertebra spinal cord injury in 1999 that left her in a wheelchair. Ashlee had to overcome many obstacles to live her life fully. When I was told that I would spend the rest of my life in a wheelchair, I thought I’d just been issued a death sentence. Besides being an athlete, I loved camping and hiking, being outdoors, going to parties with my friends and doing all the things that 16-year-old high-school girls enjoyed doing. When I got my life-in-a-wheelchair sentence, I believed all the stereotypes of people in wheelchairs. I thought . . .
* They never left their houses. * They didn’t have social lives. * They weren’t active in the outdoors. * No one ever would love me. * I was destined to spend my life alone. Some years after my accident, like every young lady, I was trying to impress a boy, Russ, who is my husband now. Russ came from a very-active outdoor background. Half-jokingly, Russ told me, “I can’t marry you, until I find out if you can shoot or not.” He took me out to a shooting range when we were dating and got me set-up to shoot. I found out very quickly that I really enjoyed shooting guns and bows. However, the guys challenged me about what I thought about hunting, what my beliefs were about hunting, and then they goaded my competitive spirit. 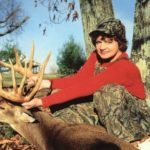 They told me, “You should at least try hunting.” So in 2007, I went on my first bowhunt and quickly learned there was plenty of new equipment that had been designed and developed for people in wheelchairs who wanted to hunt. I was really excited about trying out the new equipment and learning what a person could do using new technology to get into the outdoors. When the hunt began, I still didn’t know if I’d be able to squeeze the trigger on my Parker crossbow (http://www.parkerbows.com/) or not, but my adventurous spirit and my competitive nature kicked in, and I did. After I took my first buck mule deer, I totally fell in love with hunting. I loved being outdoors, I enjoyed the competitive nature hunting brought out in me, and I loved having the opportunity to actively pursue meat for my family. I found that hunting was much more fun than going to the grocery store to purchase meat. I also learned that wild meat was organic and inexpensive. Hunting gave me a way to provide food for my family that I never believed I’d be able to do. So, I completely fell in love with the sport. I felt very empowered by being a part of planning a hunt and being involved in the harvesting of an animal from squeezing the trigger to cooking the meat. Still today, I like to process animals as much as I like to harvest them. I really enjoy the activities of hunting and cooking wild meat. I also like every aspect of finding and taking the game, processing the meat, preparing the meat for the table and watching my family enjoy what I’ve been able to provide for them. My husband sometimes kids me, because I try to get every scrap of meat off every animal I harvest. When my husband, Russ, and I moved to Wyoming in 2007, I was fearful to move back because all the activities I once loved doing there I no longer could do, especially outdoor activities like hiking, camping and ranching. Wyoming wasn’t accessible and had lots of mountains, gravel, rocks and mud. But as soon as I arrived in Wyoming, I got involved in four wheeling, camping and hunting. I found the outdoors to be a very healing place. I found my joy in the outdoors. When I first heard about the 2013 Ms. Wheelchair America pageant (http://www.mswheelchairamerica.org), I thought it was a joke. I was convinced that people in wheelchairs like me didn’t do beauty pageants. And, even if I did enter the pageant, what would my talent be? I really couldn’t understand why people wanted me to be involved in this beauty pageant. I believed all the stereotypes about beauty pageants, and that their primary concerns were about outward appearance. However, I learned this pageant appreciated that women in wheelchairs and women with disabilities were beautiful, and that the Ms. Wheelchair America pageant was all about giving women a national platform to talk about issues important to them and empowering women to be advocates for themselves and other individuals in wheelchairs. The most-important part of the pageant for me was that it provided a time and a place for women in wheelchairs to meet and get to know each other. Meeting other women in wheelchairs was important to me, because in Wyoming where I lived, the only people in wheelchairs I knew were guys, which was great when I was hunting, camping or four wheeling. However, if I ever wanted to call up a girlfriend and ask her about disability girl stuff, I didn’t have a friend I could call. Most of the women participating in the pageant weren’t all about outward appearances but instead were very empowered. No one at the pageant was more surprised or more appreciative than I was when I was crowned the 2013 Ms. Wheelchair America. I think I won because my platform of accessibility in the outdoors was a different take on advocacy. Too, I was passionate about trying to open up the outdoors to more individuals with disabilities. I think this made me very different from any of the other ladies. I think perhaps the judges may have thought that if they supported me with this platform, I might be able to help empower individuals in the wheelchair community and show them that they could go outdoors, and the outdoors could be accessible to them. Russ put a crack in my armor of protecting my emotions and feelings. He helped me see that maybe some people could love someone like me – not because of my disability but in spite of it. Russ and I started out as friends. Then we dated long distance. I’m convinced our relationship was a match made in heaven – he was perfect for me. Because of Russ’s dad’s illness and his confinement to a wheelchair, I really believe God had prepared Russ to meet me. He was the first guy I ever had met who knew how to do things to help me without me having to tell him what to do. Today I am Ashlee Adkins Lundvall, and Russ is now my husband and the father of our daughter, Addison. Right now, I’m primarily a stay-at-home mom with our young daughter whom we’re home schooling. I also have a speaking ministry. I travel all over the country giving motivational speeches at inspirational speaking events. I’m involved in the outdoor industry, speaking to more people about how I’m involved in hunting and the outdoors, and the benefits I’ve received from my involvement there, and what I’ve learned in the outdoors. I also teach computer classes for the local college we have in Cody. I’ve always been a computer nerd, and I really enjoy teaching. I have a background in tutoring, and I enjoy that profession also. 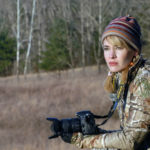 I’ve just become a columnist for “Able Outdoors Magazine (http://ableoutdoors.net/).” I really enjoy writing and keeping up with my blog and my YouTube channel that I started with an antelope hunt I went on a couple of years ago. I was using a GoPro camera (https://gopro.com/) that I wore on my forehead the entire time I hunted. I plan to post more videos about all the things I do as a wheelchair user. Often, people have questions about life in a wheelchair. I can tell them about what I do and how I do it, but I think more and more people have become very visual. They prefer to see how something is done rather than read about it. I plan to use my camera to show people how I’ve designed my home, how I work in my kitchen, how I get in and out of my car, how I parent as a wheelchair user, and how I take my daughter to the grocery store with me and run errands with her. I’ll be recording all my daily activities as a wheelchair user as well as my outdoor activities. Instead of being a specialist in one type of hunting or shooting, I represent and speak to the more than 50-million hunters in America who have some form of disability. If you live long enough, more than likely, you’ll be counted in this group. I’m the liaison for Mossy Oak camo to all the people with disabilities. I do a lot of speaking, writing and product evaluation for people with disabilities and am a spokesperson for the Outdoors Ability Foundation – a nonprofit organization (http://www.outdoorabilityfoundation.com/). The foundation’s main goal is to raise money for people with disabilities to buy adaptive equipment to enable them to get into the outdoors, hunt, fish, hike, ride four-wheelers and participate in all the outdoor activities that we all love so much. Also I love to hunt big game. Here in Wyoming, I get opportunities to hunt mule deer and elk. 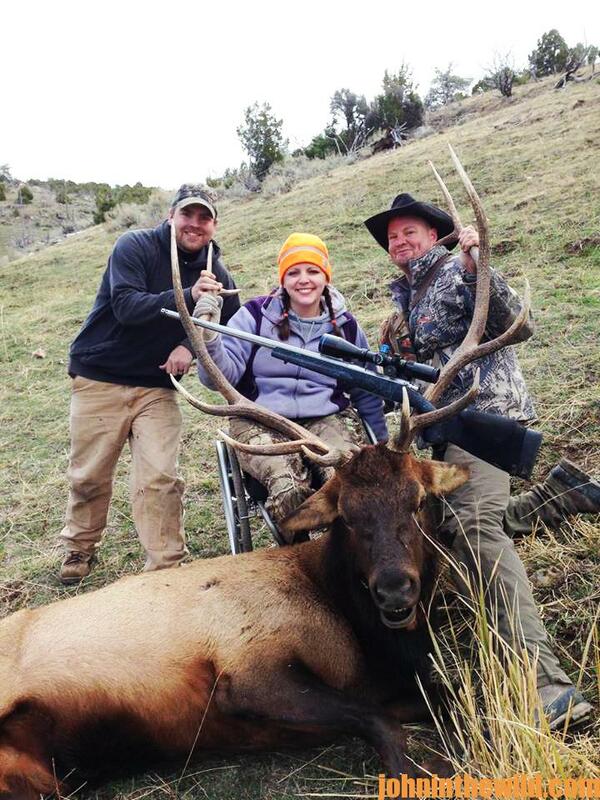 In 2013, I took my first bull elk with a rifle. That was probably my favorite hunt. Antelope hunting is another one of my passions. I’m paralyzed from the waist down, but that hasn’t stopped me from hunting and fishing. Anytime I have to go over rugged terrain or creeks or up mountains, I use my Action TrackChair (www.actiontrackchair.com). This chair can stand me up, so I can fly-fish or shoot standing up. With this chair, I can drive into water up to 18-inches deep. 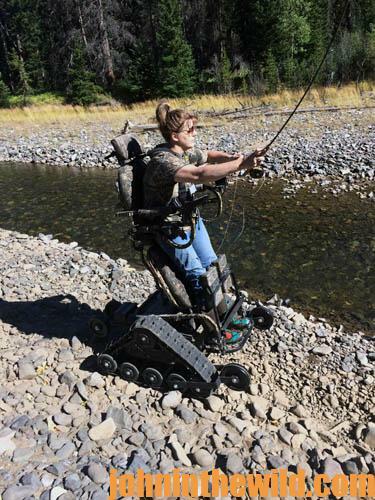 If I have to make long casts, using the TrackChair makes fly-fishing much easier, because I can wade out into streams in it. Most of the time, I can land my own fish, but my husband or my daughter are usually close by to land the fish, if I need them to do so. I also hunt with an organization here in Wyoming called the Wyoming Women’s Foundation (http://wywf.org) that raises money for women in Wyoming. Every year this organization holds a Wyoming women’s antelope hunt for people with disabilities, and I’ve been working with them for several years. I’m actually the only women with a disability who has been involved with that hunt. Women with disabilities who love the outdoors and want to be active in the outdoors are a rare breed. Most of my friends with disabilities who hunt are guys. 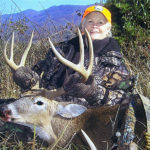 I’m constantly looking for women with disabilities to hunt with or help them learn how to get involved with hunting. One of the blessings for me has been becoming a part of the Mossy Oak Pro Staff (http://www.mossyoak.com/prostaff). Tim Anderson, who’s in charge of the Mossy Oak Pro Staff, has introduced me to a large number of other Pro Staff members. To learn more about the book, “Outdoor Women’s Hall of Fame – Premier Edition” that contains the amazing stories of how 14 women captured their outdoor dream jobs, and you can too, go to http://amzn.to/2AlVYJE for information on ordering the Kindle eBook and the print book.